Christina Woehlke, MA, LPC, graduated from Eastern Kentucky University in 2002 with a Bachelor of Arts in Speech Communication and a Master of Arts in Mental Health Counseling in 2007. She is a Licensed Professional Counselor with a background in residential treatment, outpatient mental health, community based (in home) services, and has worked as a school based therapist. In a variety of settings, Christina found her passion in trauma and attachment focused services. In her work with children and families she explored the basic human need to build healthy relationships to thrive. From these experiences, she has developed an eclectic approach and is responsive to individual needs, experiences, cultures, and beliefs. All humans have a fundamental need for nurturing, meaningful connections to others. People will be successful when they have the right skills and the right support. The mind and body are connected in both trauma and in healing. We all have pain. The quality of our life and relationships depends on how well we manage our pain. 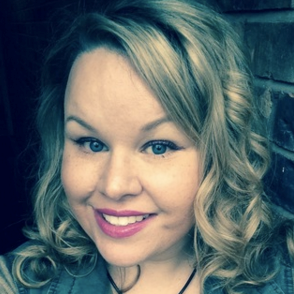 Christina always takes a trauma informed, attachment focused approach, but responds according to client’s needs with a variety of approaches including Cognitive Behavioral Therapy techniques, Mindfulness, Solution Focused Therapy, Collaborative Problem Solving, Emotionally Focused Therapy, and Person Centered Techniques. Christina also enjoys parent consultation and uses Love and Logic and Parent Effectiveness principles to develop relationship centered solutions and to improve communication. She loves to do play therapy and often uses sand tray techniques to support self-expression and to explore social roles and experiences with young children. For people of all ages, she uses art therapy principles when appropriate as an outlet for self-discovery and healing through creativity. Christina has worked extensively with anxiety, grief and loss, PTSD, parent-child relationship issues, bullying, social skill development, and LGBTQ community. Christina is in-network with Anthem BCBS, Cigna, United Healthcare, and Healthlink, and will bill as an out of network provider with Aetna until she is in network. She also provides a sliding scale for those who qualify. To schedule an appointment, call her directly at 314-561-9757 ext. 710.